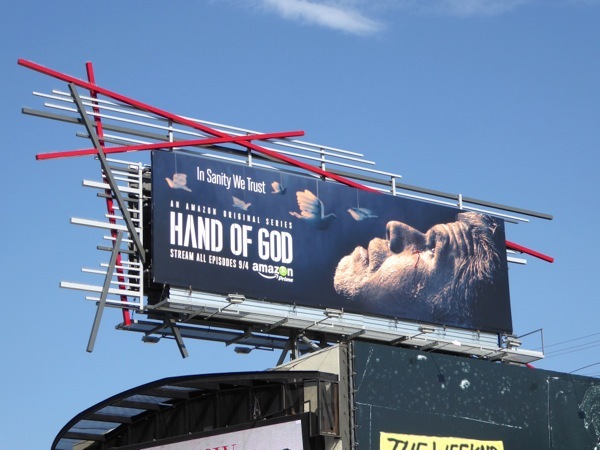 Are you ready for Amazon's latest original series, Hand of God, available for your binge-watching pleasure just in time for the long Labor Day holiday weekend. 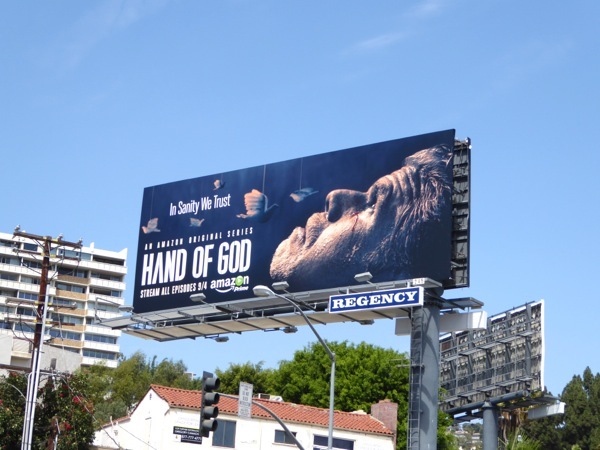 Ron Perlman stars as a corrupt judge, cheating husband and neglectful father who suffers a breakdown after his son tries to commit suicide, and preyed on by an opportunistic preacher, suddenly believes God is talking to him. 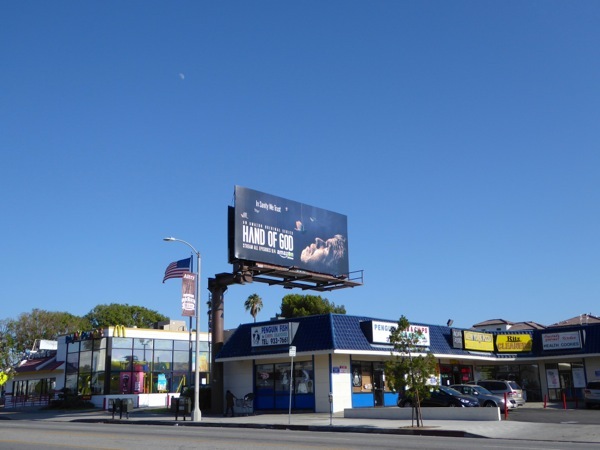 Rather than spreading peace, joy and happiness, he is compelled by these seemingly divine messages to seek out wrathful justice for his comatose son (and his son's wife who was raped). Sounds like heavy stuff. 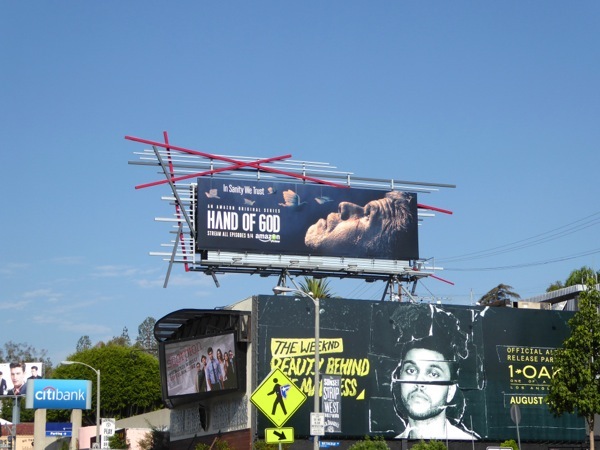 These Hand of God billboards, with Ron Perlman either crying bloody tears or his face splattered with blood from some violent act, were first spied along Pico Boulevard on August 23, plus later along the Sunset Strip in multiple locations on August 26, 2015. 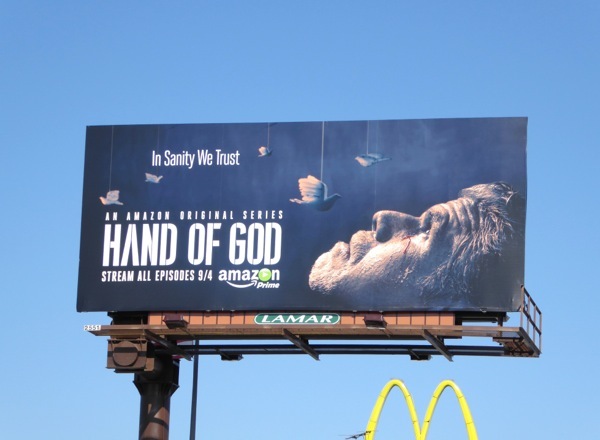 For more original Amazon shows, be sure to also check out these Bosch billboards, Alpha House billboards and Transparent billboards. 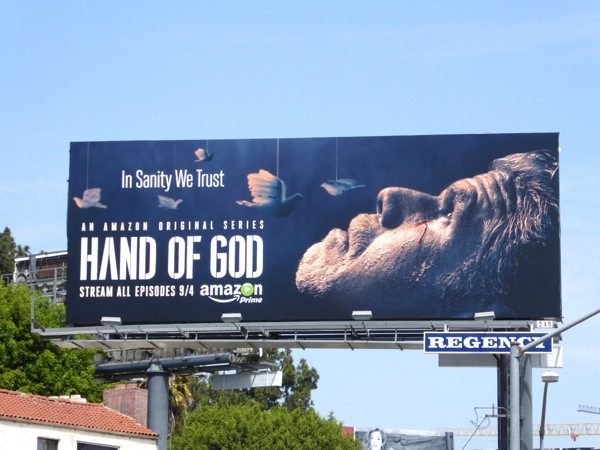 Whatever you choose to do, or binge-watch, this weekend, have a great time.